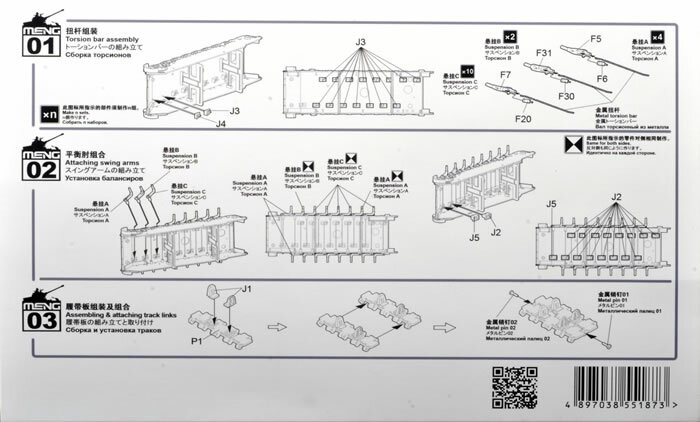 Media and Contents: 16 metal wire torsion bars , 17 mounting blocks, a full set of swing arms and replacement workable tracks. 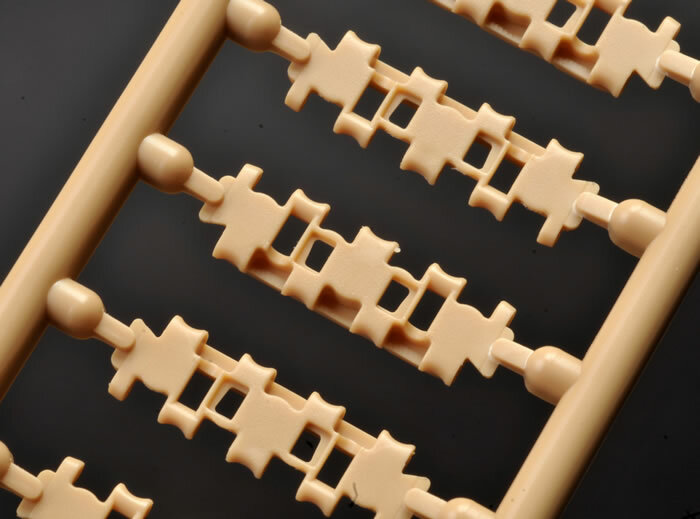 Advantages: Innovative approach; fully workable suspension; individual workable track links; now only two sprue attachment points per main link; nice for the modeller to have the option. 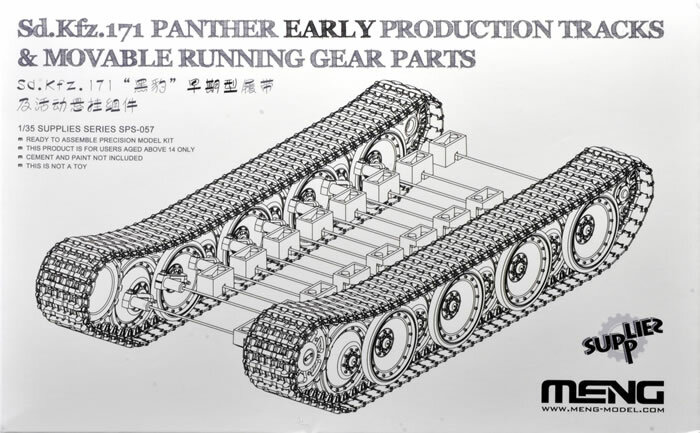 This is an impressive upgrade for the lovely new Meng Panther. If you want workable running gear, this one is for you! Coinciding with the launch of their lovely 1:35 scale Panther Ausf. D (reviewed on pages 60 and 61 of this issue), Meng has also released a number of accessories for this brand-new kit. The first is a set that supplies fully workable parts for the suspension. Straight from the box, the kit has fixed swing axles and individual link tracks that are glued together. For those who would prefer to have fully workable running gear, this upgrade set will transform the kit. 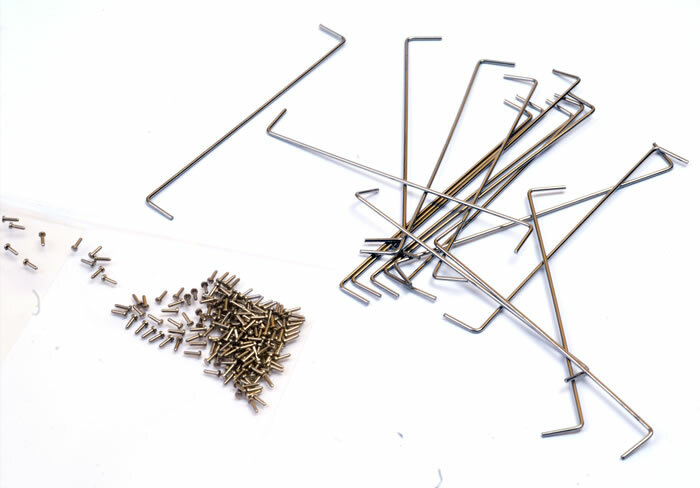 The set supplies 16 metal wire torsion bars (these will actually twist like the real thing when installed), 17 mounting blocks, a full set of swing arms and replacement workable tracks. 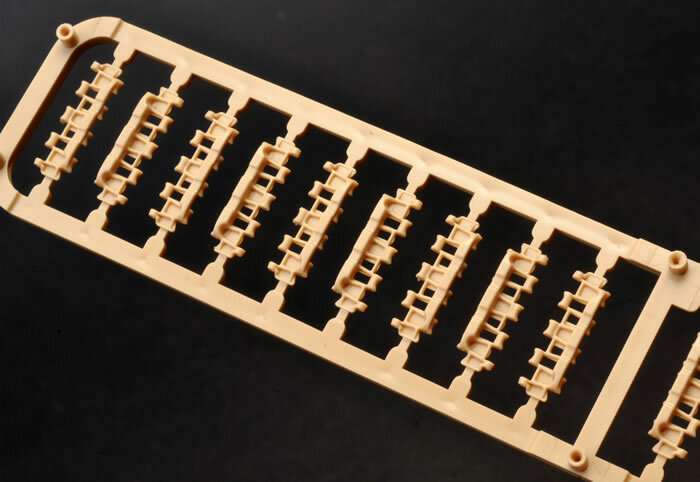 The tracks are supplied in dark yellow plastic. Like the kit tracks, these are completely free from ejector pin circles and feature two separate hollow guide horns per link. 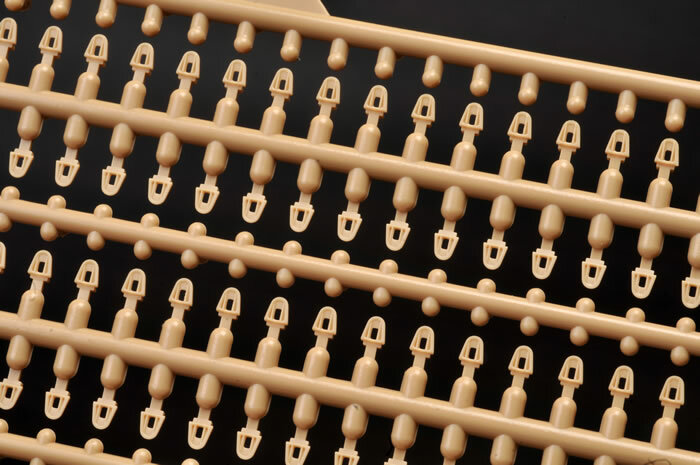 The main links are attached to the sprues via just two point each compared to seven on the earlier Panther A release, making clean-up and assembly much faster. The links are joined using two metal pins. Presumably the best method of attachment will be a tiny spot of super glue, applied sparingly and carefully! The metal pins are handed left and right, so make sure you use the correct ones. Instructions are supplied on the back of the simple black-and-white box.